If you're looking to purchase a home, you must obtain a mortgage in order to buy real estate. Mortgages are a way for home buyers to secure their home through a bank or other financial lender. The mortgage terms, closing costs, and total amount will vary depending on a number of different factors. As a potential home buyer, the first step in obtaining a mortgage is consulting with a lender and letting them know you're interested in purchasing a home. They will determine how much home you can afford depending on your current credit, income, and debt to income ratio. These factors help the lender determine your interest rate, total amount of the loan, and the terms of the mortgage. The two basic types of mortgages are adjustable rate and fixed rate. A fixed rate mortgage has a predetermined interest rate that is “locked in' for the life of the mortgage. Over time, this rate stays the same and generally, your mortgage payments will stay stable as well. Adjustable rate mortgages are different because the rate of the loan can fluctuate depending on several factors. With an adjustable rate mortgage, the buyer cannot control their rate, and their payments can go up sharply when the mortgage's interest rate increases. Overall, it is best to try and obtain a fixed rate mortgage so you are not stuck with any surprises later on down the road. People should be diligent when it comes to paying their mortgage and make the full payments due on time each month. Most lenders offer a grace period, meaning that you can pay the mortgage payment a few days past the due date as long as it is paid in full. For people who do not pay their mortgages on time, the bank or lender may opt to begin the foreclosure process. Once this happens, the bank can seize the home from the buyer, and you can be forced to move out of your home. Most of the time banks want to work with homeowners to prevent the foreclosure process, but for people who are too far behind on their payments, getting back ahead can often seem like an impossible task. All homeowners should purchase home insurance. This insurance is put into an escrow account and paid as part of your overall monthly mortgage payments. The purpose of homeowners insurance is to protect your home from various disasters like fires, flooding, tornado or hurricane damage, and even theft. Much like car insurance, your home insurance comes with a deductible that you must pay in the event that you need to file a claim. Home insurance protects the lender as well in case you suffer a loss due to fire or something similar. The insurance will pay for repairs or rebuilding of the home. Some people who have built up equity in their home or who have had a good history with their lender may want to refinance the home. If you have a high interest rate or a high monthly payment, you can ask your lender to refinance the home. Usually, this process requires you to fill out another credit check and prove that you still have a steady income and low debt to income ratio. Based on this along with the equity you've built in your home, you can get better loan terms including a lower rate. Some people also opt to receive a home loan borrowed against the equity earned in their home. 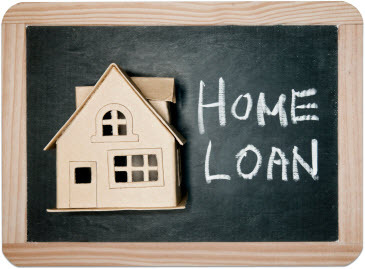 The home acts as collateral for a line of credit. No matter what you decide, it's a good idea to take advantage of any equity you have earned as well as your good credit record and get a better mortgage payment. Mortgage Basics – This page has some good information about the basics of what a mortgage is and what you need to know. Home Equity Lines of Credit – Discover how you can obtain a home equity line of credit, and learn more about what they are. Choosing a Mortgage Lender – Not only is finding the right house important, but choosing a mortgage lender is important as well. Here are some good tips. The HUD Home Buying Guide – This page explains the benefits of home ownership and how you can buy a home with little money down. Tips for First Time Home Buyers – There are certain things all potential home buyers should know. Trouble Making Payments? – Here is some helpful advice from the US Department of Veteran Affairs on what to do if you have trouble making your payments. Foreclosure Help –Be sure you understand the foreclosure process and understand what kind of help is available to you. Home Buying Guide – This site has everything you need to know before you decide to purchase a home. Buying a Home: It's a Big Deal – A bit of advice for people who are thinking about buying a home is available here from the Federal Trade Commission. Avoid Fraud and Scams – Every consumer should be aware of mortgage and home foreclosure scams; here are some warning signs. Home Mortgage Points – This page contains some helpful information about mortgage “points' from the IRS. What is a Mortgage? – Read about the basics of what a mortgage is, and what you should know. Private Mortgage Insurance – Before you agree to PMI, you should learn more about what it is and what it can do for you. Home Insurance – Here are ten things you should know about home insurance. Homeowners Insurance – This website has some great tips for keeping your home safe and maintained.